At Johnny Tuxedo we always relish the unique. With a tux you can wear in so many ways, Johnny Tuxedo encourages style-savvy guys to wear the tuxedo their way. And this fits perfectly with the rapid rise of the selfie – a self-portrait photo that screams individuality. 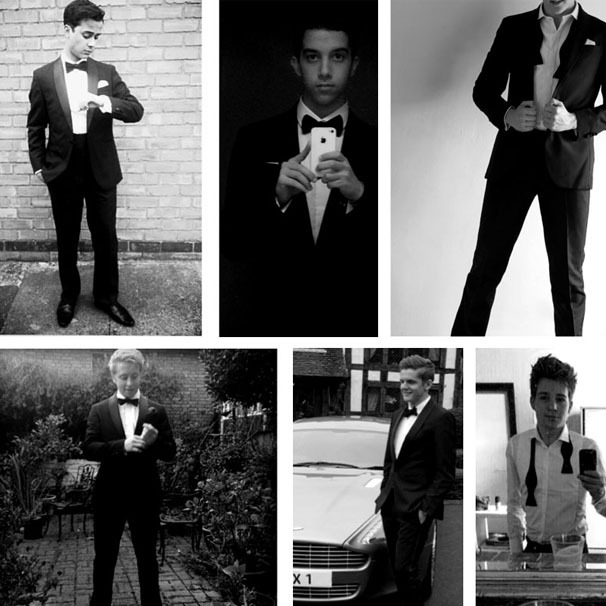 We have been inundated with a growing number of guys all jumping onto the selfie bandwagon and sending us awesome pictures of themselves in their Johnny Tuxedos. Selfies have had something of a mixed press but we say why shouldn’t our lads show the world how trendy they are? Johnny’s tuxes are impeccably cut and fit beautifully so what better way to see them than modelled by our guys with a self-patented pose? So keep them coming, guys. Who knows, you may get to star in the next Johnny Tuxedo campaign!